This past weekend was a very productive one. Saturday morning I headed over to the East Bay for a get together with a lovely group of Bay Area Sewists for a fabric swap. 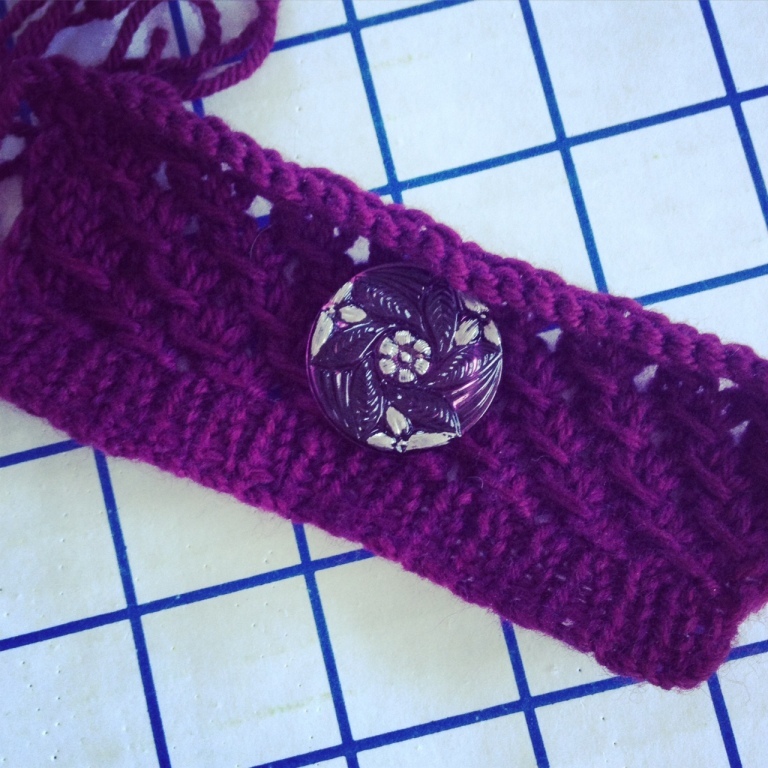 While I was across the bay, I stopped by Exclusive Buttons with a few knit swatches. The only downside of being surrounded by thousands of lovely buttons is that it can be overwhelming. Looking for something specific helps me focus among such riches! One of the swatches was for this sweater. It was finished months ago, except for the buttons. I have been looking, but nothing I came across was quite right. Mary knew exactly where to find the perfect button (no small feat considering the selection in her shop!). And I may have also stopped by Stonemountain & Daughter and picked up a yummy wool fabric while I was there . . . I already have plans for it . . . we shall see if it gets cut into before the weather turns warm. But before I start playing with new fabric, I have promised to finish one of the numerous works in progress strewn about my apartment! That looks like a fantastic place, and you picked out some real beauties. I love shopping for buttons, as twisted as that must sound to 99% of the general population. The next time you're in NYC you will have to visit Tender Buttons on the upper east side. It's a button buyer's dream world. Those purple flower buttons reallly are perfect! 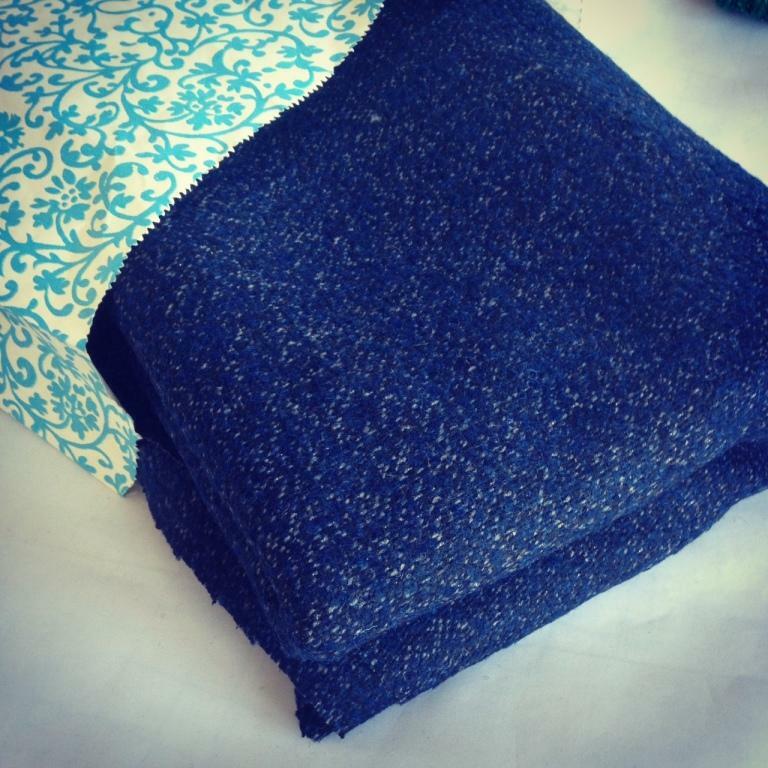 Can't wait to see what the lovely blue fabric becomes. That's an INCREDIBLE place! We have no such stores around here, so I count myself lucky when I find a bin of buttons at a flea market! How wonderful! 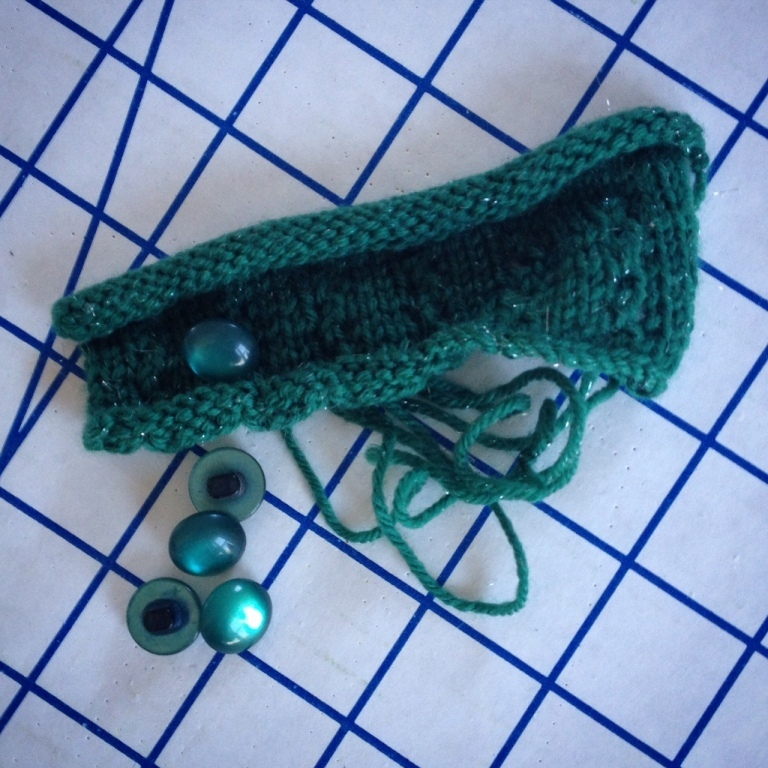 And the buttons you found match so perfectly; I can't wait to see the finished garments!! Beautiful buttons! I have got to get myself across the bay for a shopping trip. I've never even been to Stonemountain and Daughter, and I've lived here... 3 years now. Productive weekend indeed! 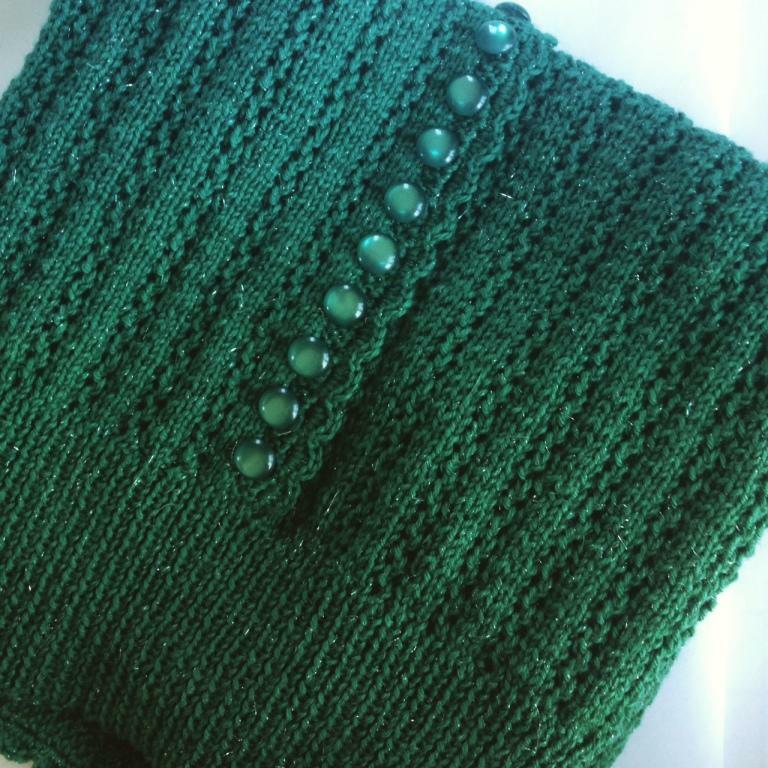 I love the sparkly yarn and perfectly matched buttons! Oh man! I'm going to hopefully be within striking distance in April, and that looks like a store worth a day trip on public transit across the bay! Whoa! The green sweater looks every bit the work of art that it is because of those buttons. Your eye for detail, and determination to unearth the perfect finishing touch (or, as in this case, via consultation with a subject matter expert), elevates everything you create beyond the typical. Always impressed with what you create, and appreciative that you continue to share your projects, as well as the places which contribute to all things Laura Mae. Those buttons are perfect! Gorgeous! That green knit is divine. 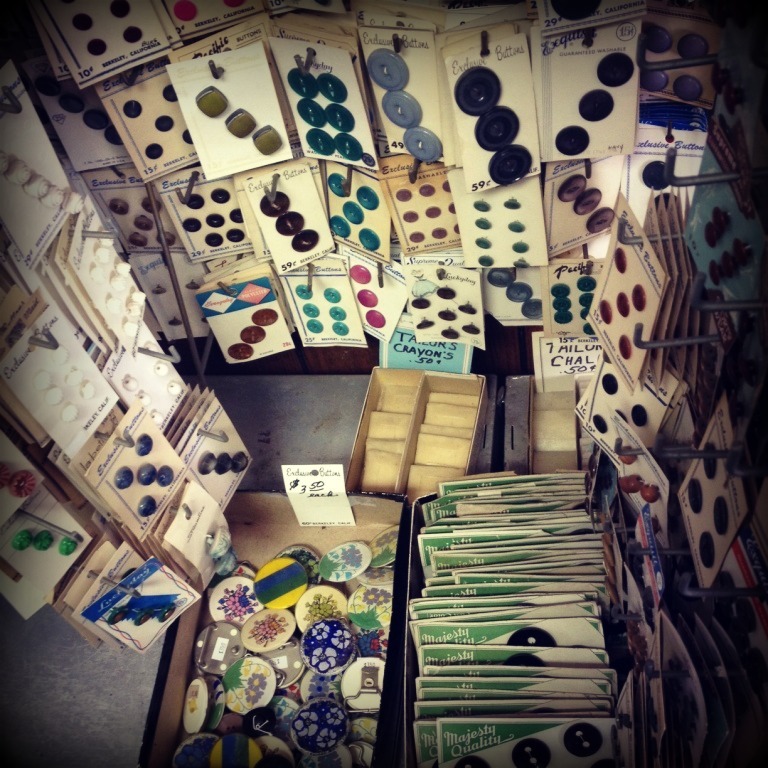 And I cannot imagine how exciting it must be to have a shop that is ALL buttons - I would be hyperventilating with excitement! I love the matching buttons. I agree knowing what you want helps narrow choices! Right now I'm drawn to rhinestone vintage buttons. 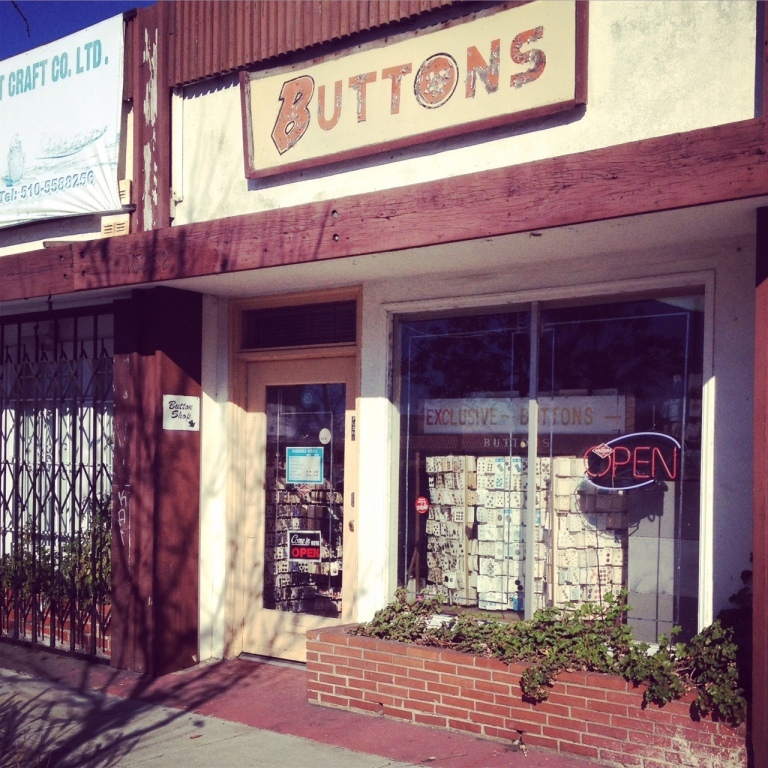 A shop that's all buttons? Wowza. I can only imagine.